I'm back!! Even though I am still in a "holiday hangover" and want to be lazy and stay in bed all day. I've only done 2 short runs but no long runs in a week. It's time for another long one but I am trying to recoup on sleep and everything else- so hopefully soon. We did the split holidays thing this year, my family Christmas eve and Ians Christmas evening. It was busy, crazy, and exhausting but we had a great holiday. I got some awesome stuff from all of my family, but my husbands gift was by far my favorite. 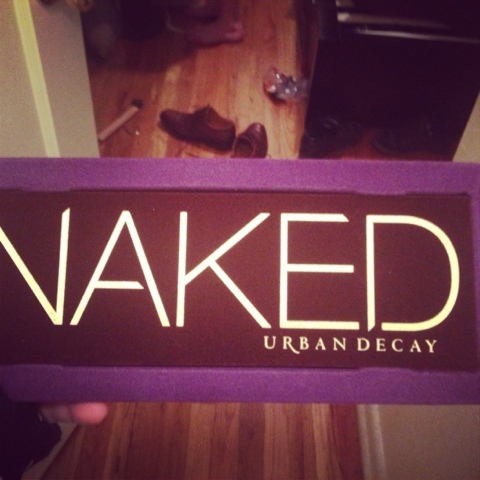 In fact it was my favorite I have ever gotten. He got me a framed canvas photo print of me and my grandpa- the last photo taken before he passed away this summer.I cried when I opened it. The best gifts are those you could never think to ask for. The photo really meant a lot to me. Now on to part 2 of this post- my December Cara Box. This was my first time participating in Wifessionals Cara box swap- you get paired with two other bloggers and send one a gift box and receive a box from the other. It's so fun to get to connect with other bloggers. This months theme was Christmas sparkle! 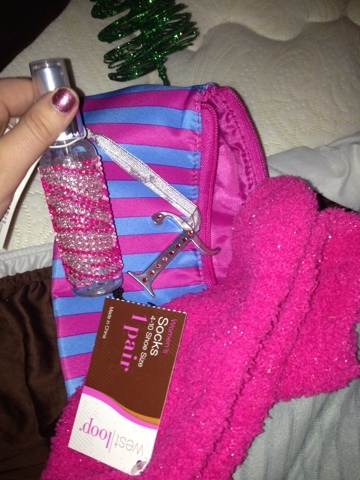 I got some glittery Christmas decor/ornaments, a fun body spray and a glitter T! My box was from Karla she is so cute and has an awesome blog! It was fun being her partner! My new Naked eyeshadow palette from the Hubs for Christmas! 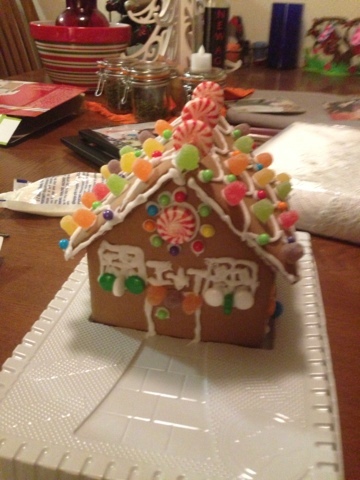 The Hubs and I made a gingerbread house! 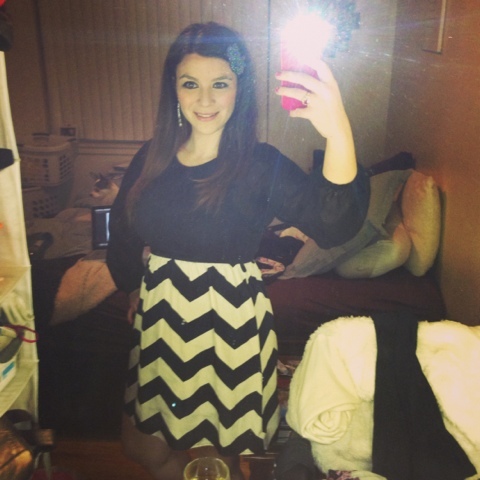 And another new dress for another Christmas! That's all I got today! Be back on Monday for another post, hopefully some running re-caps. Happy Friday!! !